In this tutorial, we'll be using the Wemos D1 mini (ESP8266 based development board) and a button shield to create a smart IoT button that messages or voicemails your friends. To get set up with the Wemos D1 mini, you'll need to follow our tutorial on getting started with the ESP8266. It details setting up the correct environment to complete the rest of this tutorial. 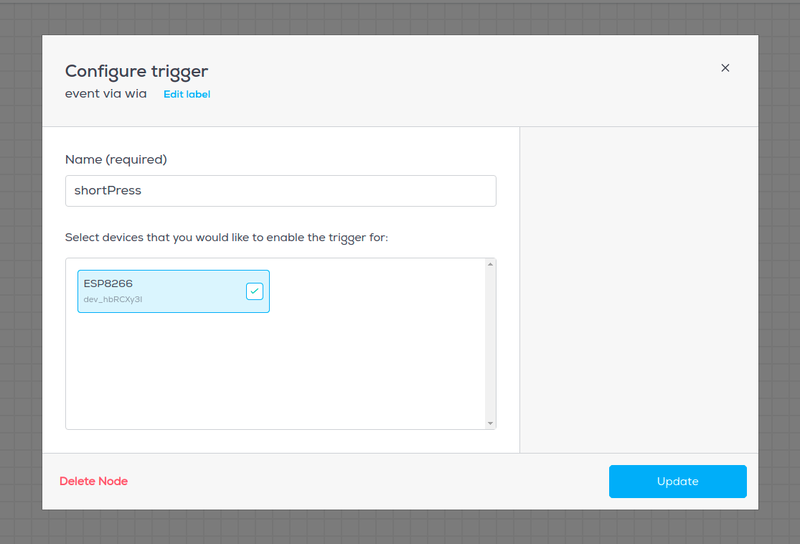 You'll also need to follow our tutorial on getting started with MessageBird. 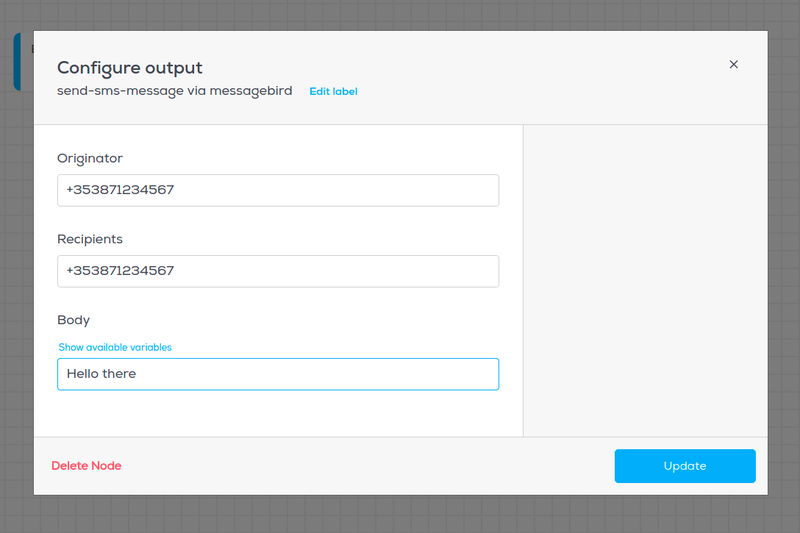 The MessageBird API adds capabilities like voice, video, and messaging to their applications. This enables businesses to provide the right communication experience for their customers. Connect the button shield to the Wemos development board. When connecting it, make sure that the pin naming on the board matches that of the of the button shield, e.g. TX to TX, RST to RST etc. Make sure the correct board is selected - go to Tools > Board and select Wemos D1 mini Pro. Click update, then connect the Event Created node to the Send SMS Message node. 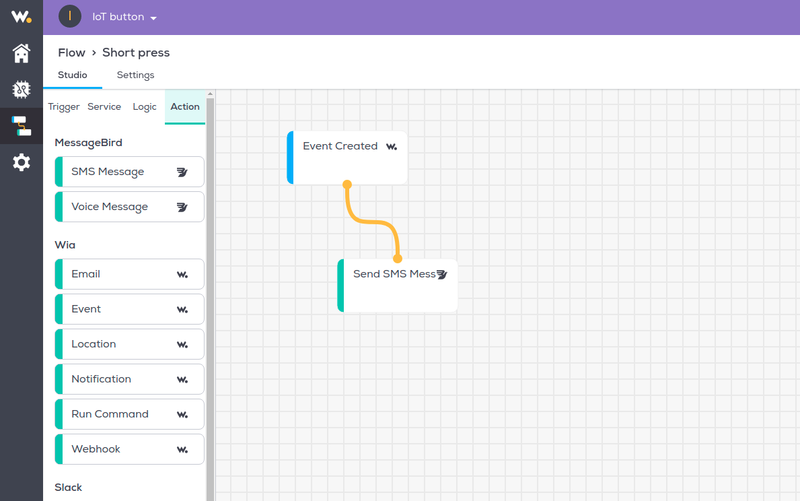 For doublePress, we will repeat the same process by building another Flow, except this time we will switch out the Send SMS Message node with a Send Voice Message node. Enter your Body message (You have up 1000 characters in one message). Once you have set up Flows for both shortPress and doublePress, go ahead and press your IoT button and see the results. Now you are a King/Queen of MessageBird! Note: We still haven’t used our longPress Event yet so we are going to leave that up to you, to see what you come up with.